Philosopher Joke J. Hermsen discuss the philosophers Hannah Arendt (1906-1975) and Rosa Luxemburg (1871-1919) during a philosophical presentation. The presentation considers freedom, plurality, and how both women focussed attention on the importance of independent thinking in their work. The love for the world that Arendt and Luxemburg both share- Arendt calls this amor mundi – also expresses itself in their profound interest in society, art and literature. Rosa Luxemburg was friends with Henriette Roland Holst and Herman Gorter. Hannah Arendt admired her as “heroine of the revolution” and believed that no political thinker could ignore Luxemberg’s ideas. In 2019 it is precisely one hundred years ago that Rosa Luxemburg was murdered in Berlin. Time to reflect on her life and work. It promises to be a wonderful afternoon: a philosophical lecture interspersed with music and film fragments and a reading of the most beautiful letters. Joke Hermsen is one of the founders of the Amor Mundi foundation, inspired by the ideas of Hannah Arendt. Amor Mundi organizes lectures, symposia and workshops in which philosophy and literature are linked to political involvement and artistic engagement. Amor Mundi unites authors, speakers, alumni and other interested parties who want to talk about the world together, because: “The world and her inhabitants do not coincide; she lies in between people. The world will only become human if we discuss her among equals.” – Hannah Arendt.  *Combine your ticket for this lecture on Sunday April 14 with a ticket for the Philosophical Night The Hague (Nacht van de Filosofie Den Haag) on Saturday April 13 and pay a total of € 30 instead of € 36. Individual tickets for the Philosophical Night The Hague (Dutch spoken) can be purchased for € 22.50. You’ll find more information about this Philosophical festival here.